Originally intended to be worn as an undershirt, specifically for use under body armor. Great as an under layer. But also ready to wear solo in hot weather or during high activity. Moisture-wicking Coolmax mesh is sure to keep you operating at 100% capability. 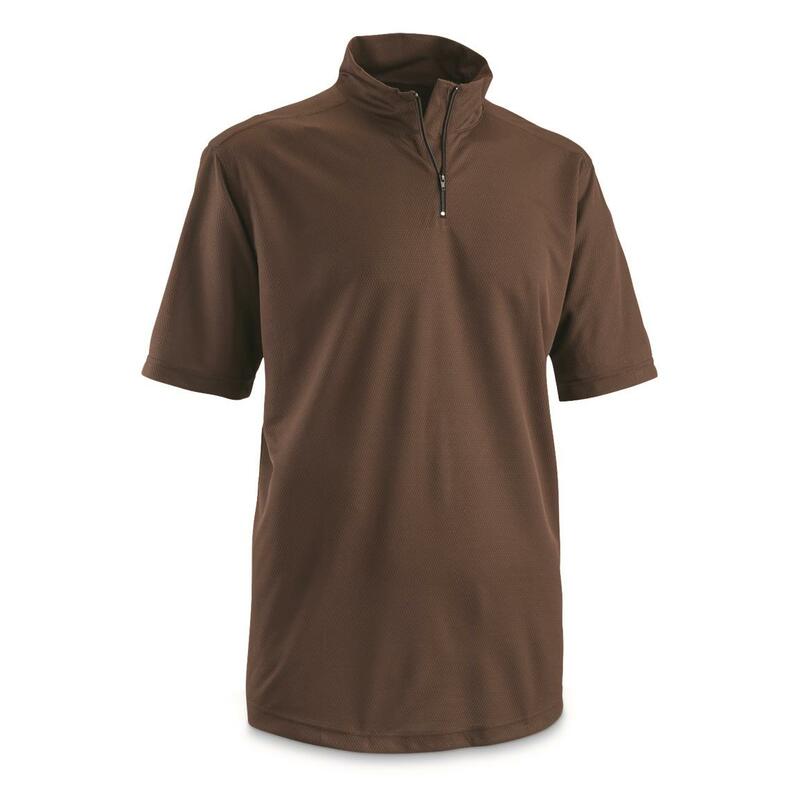 British Military Surplus Coolmax XL Quarter Zip Shirts, 2 Pack, New is rated 5.0 out of 5 by 1. Rated 5 out of 5 by joey l from Really nice looking and very comfortable ! Sportsmans Guide military surplus are second to none , both in price and quality, and the best and quickest castle free return policy. ok, these shirts, to me are a the same as U.S extra large, even washed both of them since purchase and put them in the dryer, maybe a little shrinkage if any. they look great alone or under your military jacket, glad i got them. thanks SG.